Victor J Stenger , Quantum Gods: Creation, Chaos, and the Search for Cosmic Consciousness. 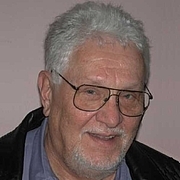 Victor J. Stenger is emeritus professor of physics and astronomy at the University of Hawaii and adjunct professor of philosophy at the University of Colorado. A fellow of the Center for Integrity and of the Committee for Skeptical Inquiry. Victor J. Stenger is currently considered a "single author." If one or more works are by a distinct, homonymous authors, go ahead and split the author. Victor J. Stenger is composed of 4 names. You can examine and separate out names.